In general, I’m not much of a DIYer. I get impatient, am heavy-handed and never seem to have the right ingredients on hand. But every once in a while (typically late at night when I should be sleeping), the DIY bug bites, and I find myself mixing and matching my various straight green beauty ingredients to see if I can improve something I already own or whip up something fresh to address a specific concern. This can be as simple as adding additional carrier oils to a basic shea butter to get a richer texture, or combining essential oils into a blend of carriers to make a body oil to suit my mood for the day. 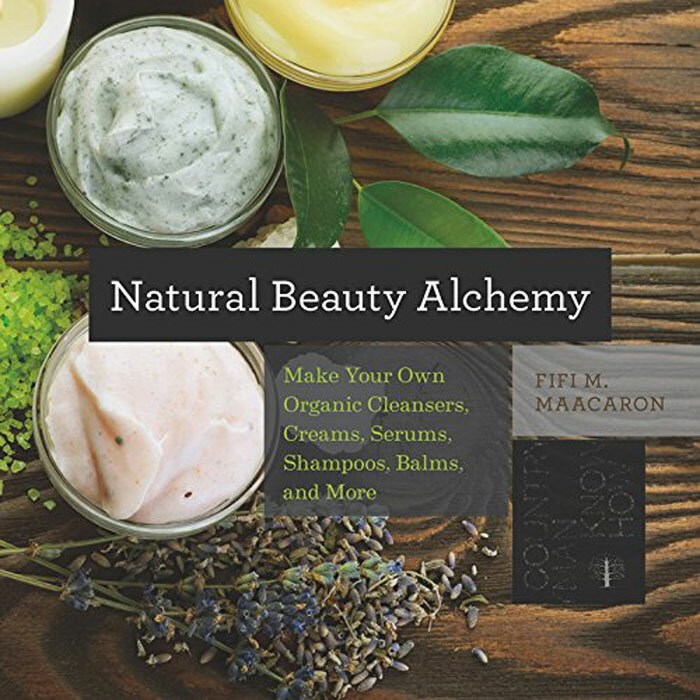 In the coming weeks, I’ll be sharing a few excerpts from a new beauty DIY book, Natural Beauty Alchemy, that keeps me inspired to tap into my inner DIY goddess. I hope you are inspired as well and come back to these recipes when you’re up for a little tinkering. 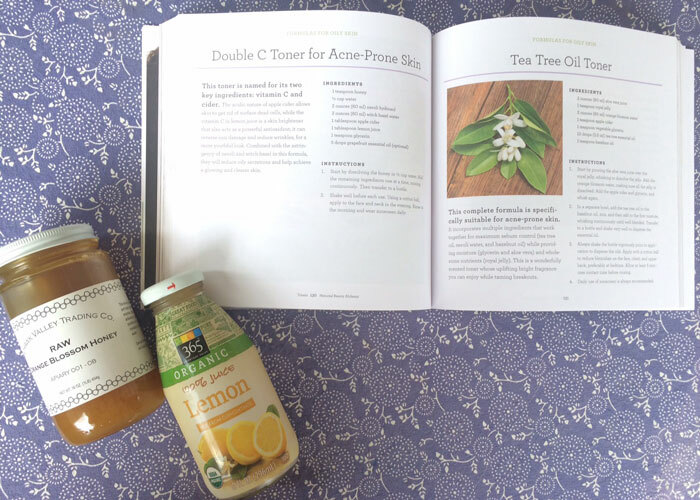 This toner is named for its two key ingredients: vitamin C and cider. The acidic nature of apple cider allows skin to get rid of surface dead cells, while the vitamin C in lemon juice is a skin brightener that also acts as a powerful antioxidant; it can reverse sun damage and reduce wrinkles, for a more youthful look. Combined with the astringency of neroli and witch hazel in this formula, they will reduce oily secretions and help achieve a glowing and clearer skin. 1. Start by dissolving the honey in 1/2 cup water. Add the remaining ingredients one at a time, mixing continuously. Then transfer to a bottle. 2. Shake well before each use. Using a cotton ball, apply to the face and neck in the evening. Rinse in the morning and wear sunscreen daily.